The designers of the bridge were constrained with environmental restrictions and unavailability of sufficient space on both sides of the river so they came up with a design wherein the main span is hung from a high arch. 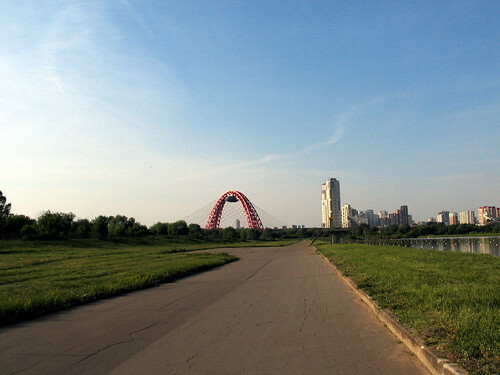 The 100 metres tall arch uses minimal foundation area on each side of the river bank without encroaching on the adjoining land. 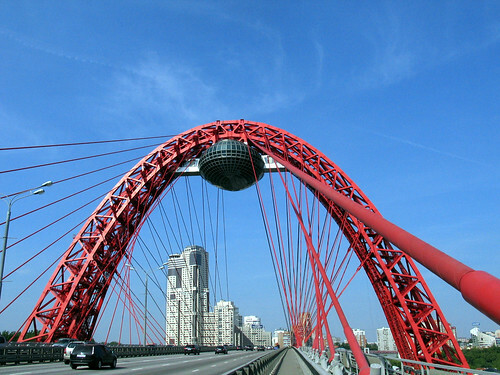 The 409.5 meters long main span is supported by the arch by means of 72 suspension cables. 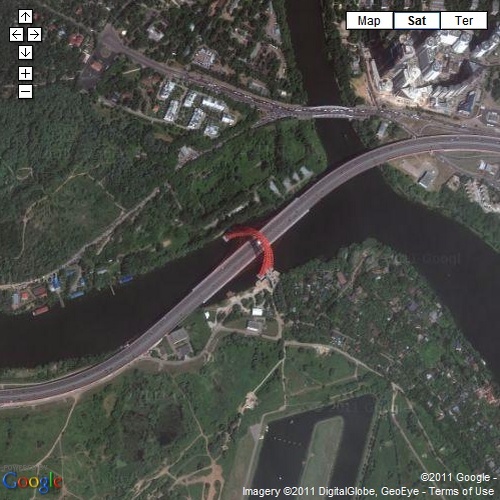 A unique characteristic of this 1,460 meters long bridge is that its major portion runs along the bank of Moskva River instead of directly cutting across it. Another strange feature of the bridge is a 24x33 metres ellipsoid shaped pod hanging from the top most point of the arch. The pod was meant to house a observation deck and a 100-seat sky-high restaurant above the road to provide a panoramic view of the nearby protected silver birch forest. However due to fire-safety concerns and lack of investment the plans for deck and restaurant have been shelved for time being. Because of its shape and presence of the pod the bridge has often been referred as Metal Spider with a sac.